Great location in Barre Center and across from Ruggles Lane Elementary School this 3 Bedroom Ranch has a lot to offer! Set on nearly a half acre lot with a spacious yard, it's a short walk to Barre Common and the school playground is just across the street. The home is in move in condition with recent updates including a new Anderson bay window and engineered hardwood floor in the living room along with several other new windows throughout the house. The first floor bath was recently remodeled with a new tub/shower, vanity, tile floor and lighting. Additional space in the basement with a carpeted Family Room, bathroom with shower stall and a utility area with wood stove. 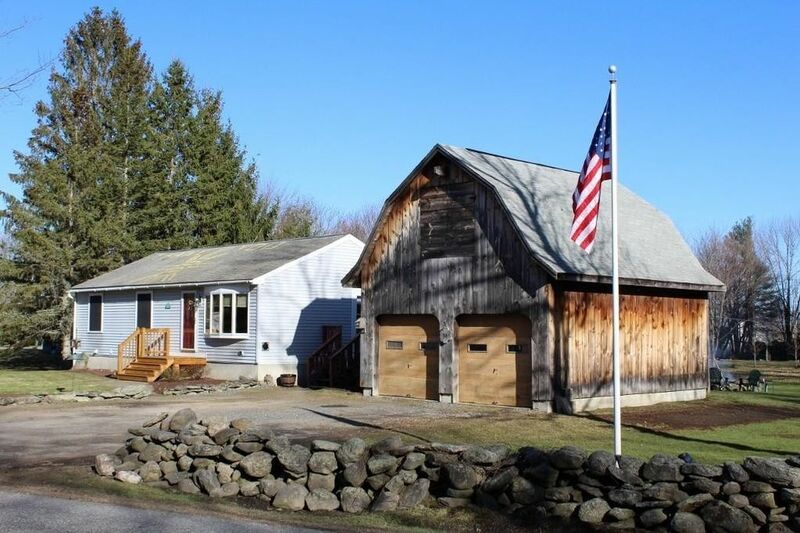 Side deck leads to oversized two car garage/barn with stairs to a storage area above. Artesian well provides water and the home is connected to town sewerage.